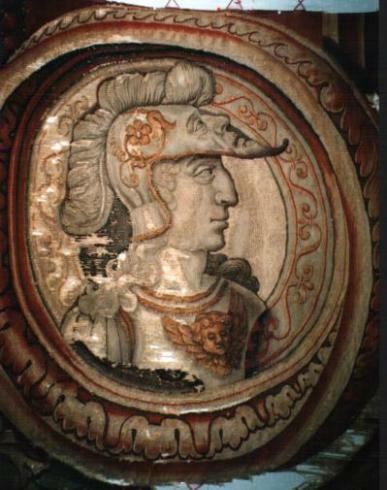 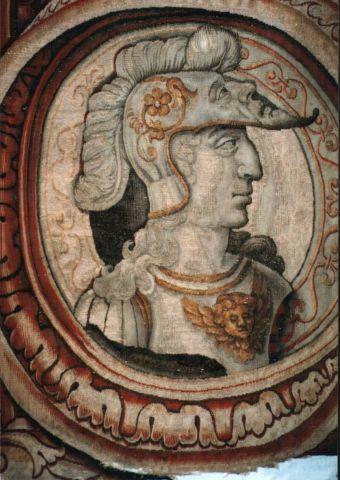 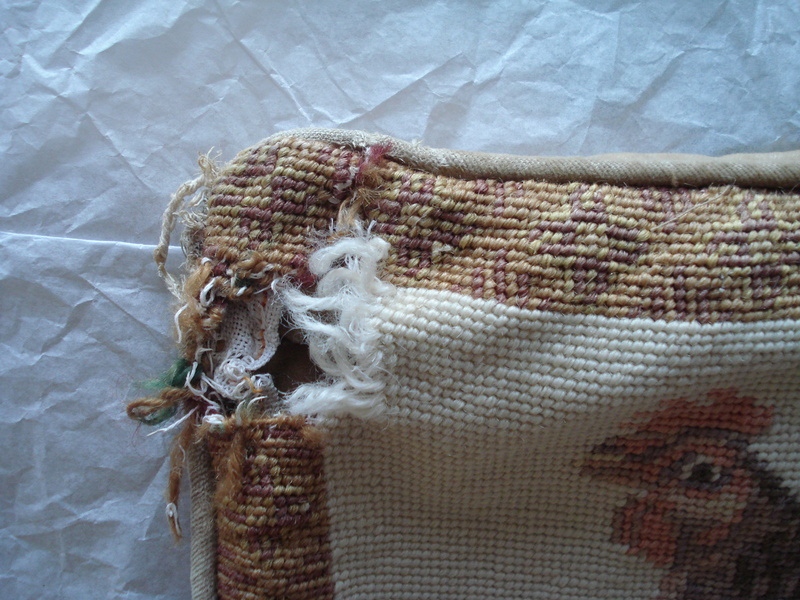 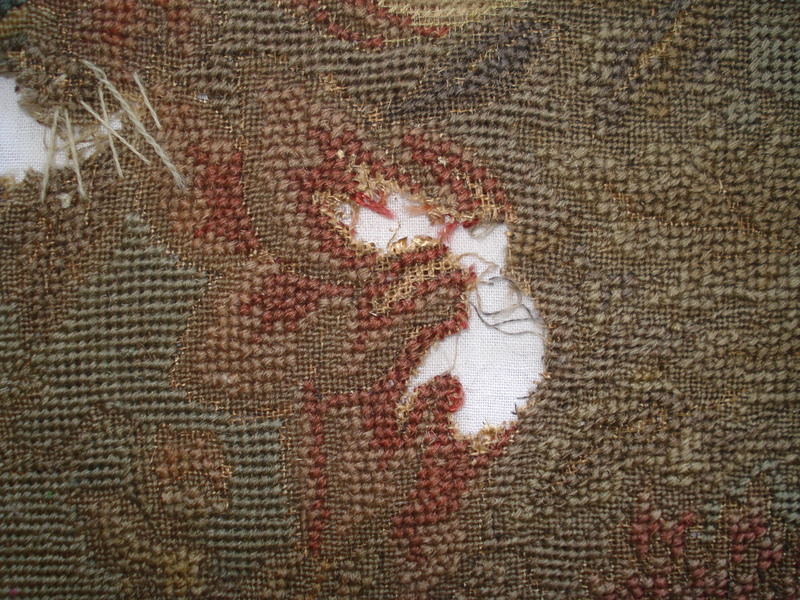 This tapestry fragment depicting a Roman figurehead had been badly repaired in the past. 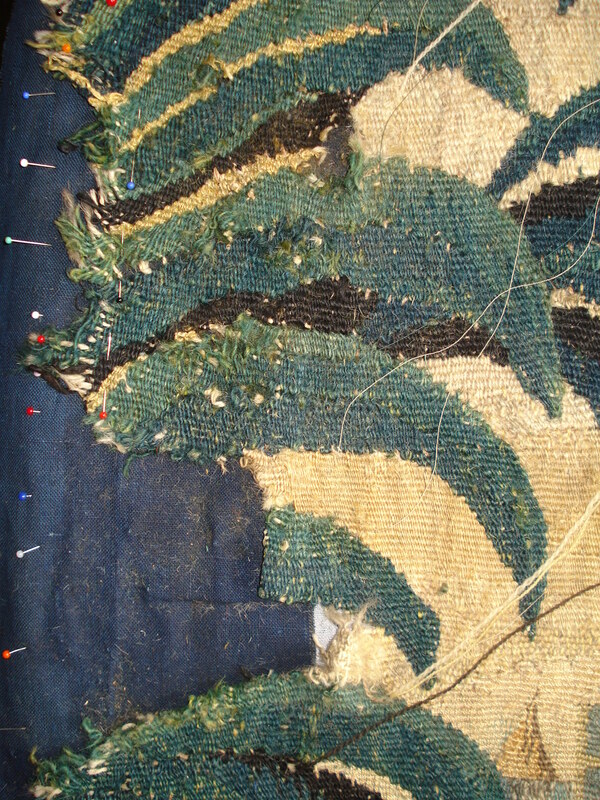 The old repairs were removed, allowing the warp threads to resume their natural line. 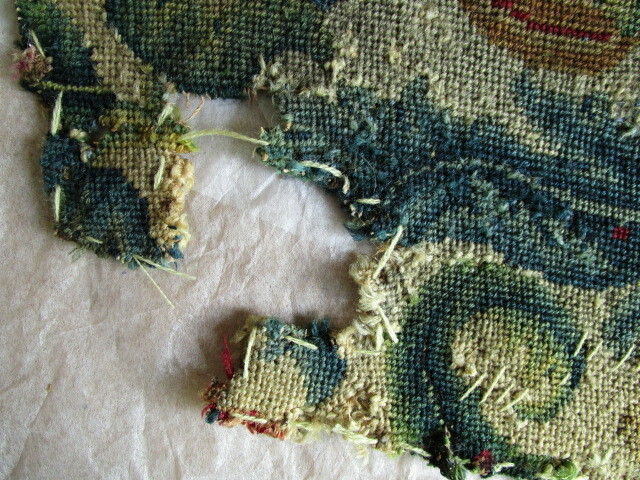 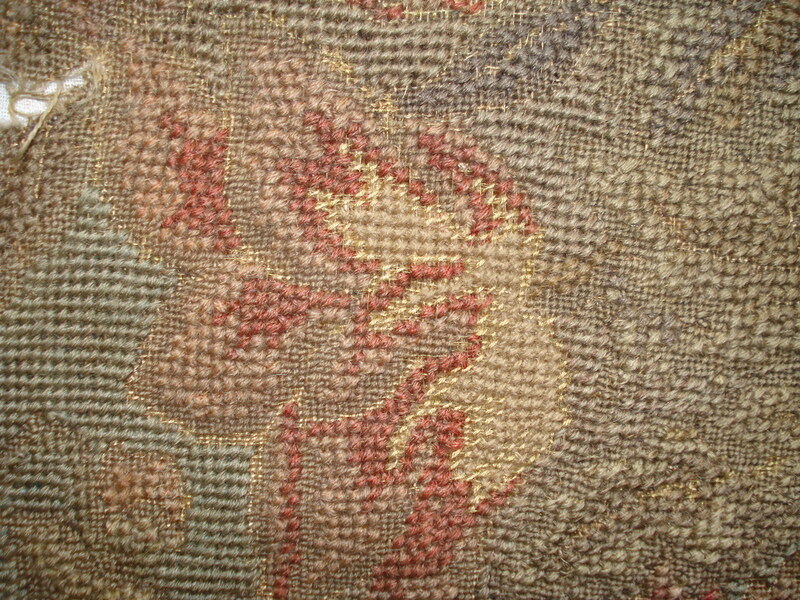 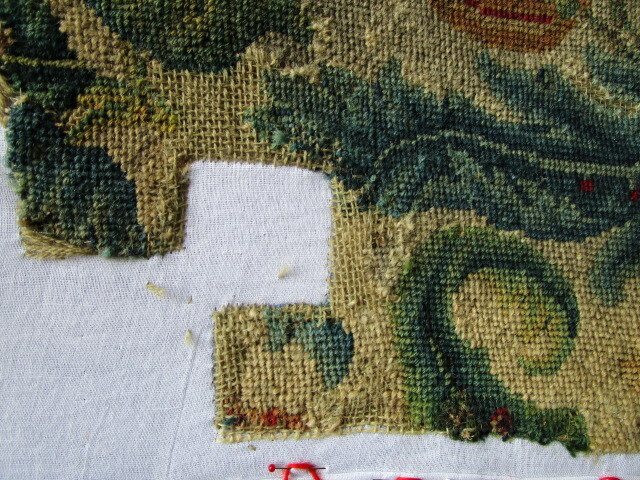 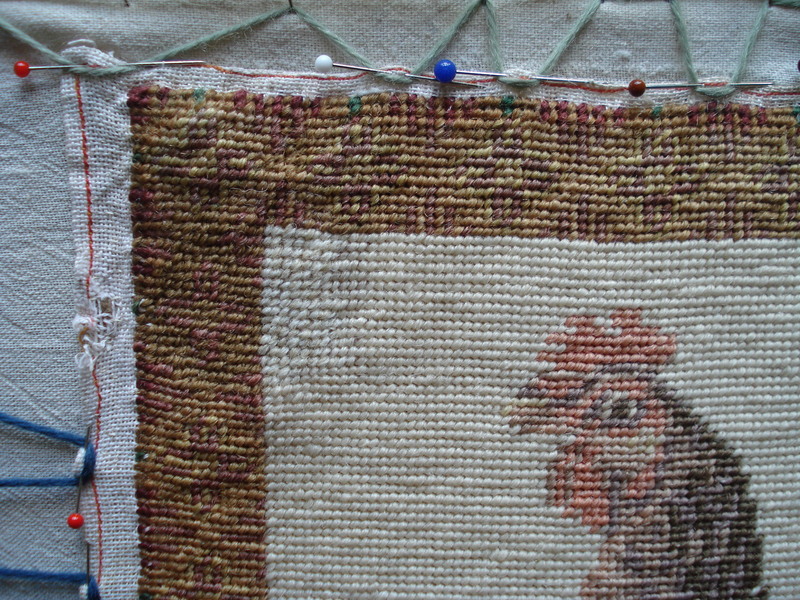 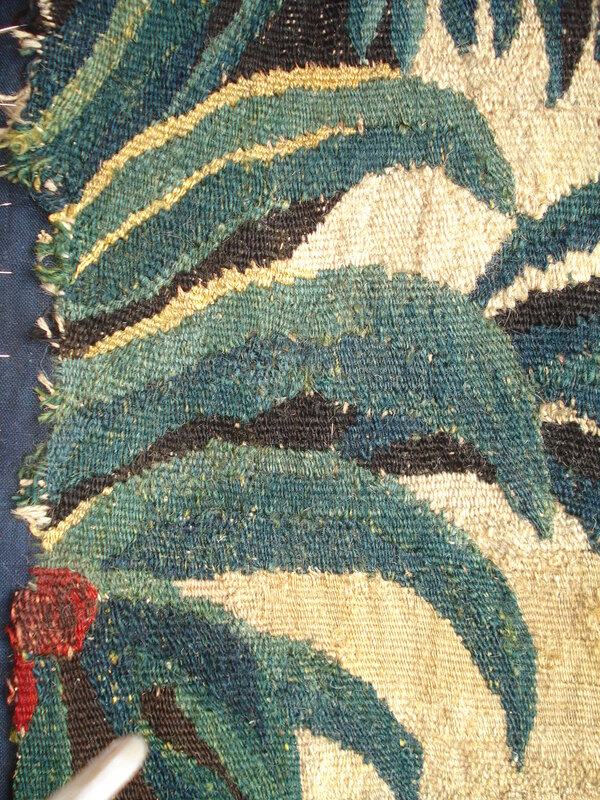 Wools and Silks were then stiched in place to restore the design.